When I’m drinking whiskey, I don’t think about farmers or tractors or where the booze comes from. But I should, according to Don Poffenroth, co-owner of Spokane’s Dry Fly Distilling. 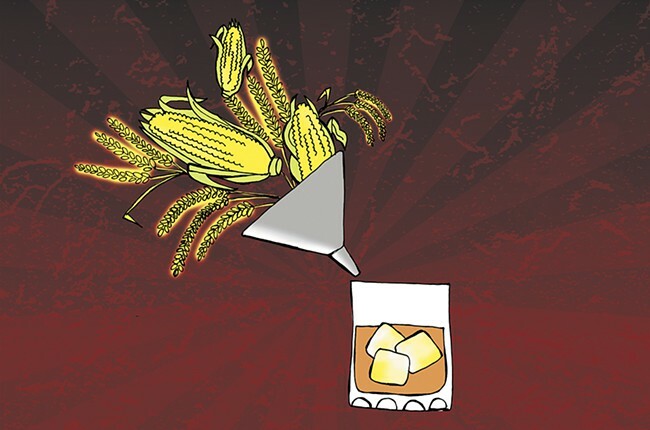 Don and Dry Fly have an agricultural philosophy about booze. “We do farm-to-bottle,” Don says. “We have great wheat in Washington, great barley, great triticale.” More than 99 percent of Dry Fly’s ingredients come from Washington, so when you’re drinking Dry Fly, you’re tasting where we live. And it tastes good, even to a bourbon drinker used to the taste of Kentucky.